The ABC’s Organic Gardener magazine presents practical, clearly written features and excellent photography on all aspects of organic gardening and living. It sticks to the principles of good, chemical-free gardening, which supports and works together with nature. The magazine explores eco-living issues such as organic food, renewable energy, permaculture, organic farmers markets, environmentally friendly home products, and eco-travel. It provides inspiration, information and practical how-to advice and solutions on all aspects of organic gardening and a holistic lifestyle. Many of Australia’s leading organic gardeners are regular contributors including ABC Radio’s Annette McFarlane, ABC TV Gardening Australia presenters, Jerry Coleby-Williams and Josh Byrne and gardening legend Peter Cundall. Published 8 times a year, ABC’s Organic Gardener is an essential companion for anyone interested in organics, gardening and a healthy, balanced lifestyle. Available from newsagents and My Magazines. I’ve been an environmental journalist for 20 years, first with the Permaculture International Journal, and now with Organic Gardener. I’ve always gravitated towards social change, environmental and social justice issues, especially the ideas of permaculture based around building better communities, creating more liveable built environments, and promoting sustainable food production methods. I grew up on a farm, moved to the city for 20 or so years and have now found a happy mid-ground of a little village in northern New South Wales (Australia), called The Channon, where I’m kept on my toes by my wife and young children. We have a small vegie patch that spills onto the street so everyone walking past can see our successes and downright failures. Our neighbours across the road, who also lack a sunny garden, have joined in. Despite my reluctance to garden publicly – out front is the only sunny spot – it does have advantages. You get plenty of good advice, and the successes inspire others to get home and start or rejuvenate their own gardens. Designer Karen Berge lives on the northern beaches of Sydney with her young family and three chooks. Karen has been an integral part of the OG team for 12 years having previously worked for publishers on a range of magazines. She’s says she’s glad that some of the gardening skills she’s been presenting in OG have finally rubbed off on her – the latest project being a herb garden in a wheelbarrow. Penny is a dedicated and committed organic gardener who lives near the coast in Victoria. With a degree in botany and zoology, her passionate commitment to the environment in all its forms has led to a lifetime of writing about and photographing organic gardens. She is horticultural editor for Organic Gardener Magazine, most of the Essential Guides as well as the Organic Gardener diary and calendar. She also regularly contributes articles and photographs to these publications as well as the Organic Gardener website and has her own websites pennywoodward.com.au and australiangarlic.net.au. As well, Penny is a panelist on Melbourne’s 3CR community radio gardening program, gives talks to gardeners around Australia and has written eight books on edible and useful plants, including Asian Herbs and Vegetables, Herbs for Australian Gardens, Pest‑Repellent Plants and her latest book: Garlic: An organic guide to knowing, growing and using garlic (all from Hyland House). Having worked in publishing for over 20 years, getting a magazine to print is second-nature to Leanne. She's worked on home and women's health magazines in a variety of roles and loves that day when deadline hits and all goes smoothly. Although, an old-hand when it comes to publishing, Leanne is new to the world of organic gardening. To date her successes have included the odd indoor plant and succulent that loves the heat of her west-facing balcony in the inner-west of Sydney. Recently, though, Leanne has decided to turn the back area of her apartment building (to date ignored and desolate) into a community garden. So she brings to her role at OG a thirst for knowledge and a desire to learn as much as she can so that she can eventually harvest crops of veg and fruit from her own backyard -- in the meantime there's a worm farm and compost and the beginnings of a space for everyone to enjoy. A freelance journalist, photographer and author, Simon has been a passionate food grower and ABC Organic Gardener contributor for several years. A refugee from the north of England, Simon lives with his wife and three small children on seven acres in the Northern Rivers region of NSW, Australia. As well as raising humans, chickens, ducks and alpacas, he is attempting to be self-sufficient in fruit and vegetables, while acknowledging that the learning curve is so steep he needs ropes and crampons. As well as writing for the magazine on a wide range of topics, and blogging for the OG website, Simon edits the ABC Organic Gardener Essential Guide series. Kylie McGregor is a much-valued contributor to Organic Gardener and a passionate supporter of sustainable and organic living. After growing up in the city, she and her young family moved to far north New South Wales almost six years ago for a more laid-back lifestyle. They’ve found that life on a small farm – albeit 66-acres – complete with chooks, cows and a vegie patch, can be a challenge. Julie Ray, or Juls, is a fabulous foodie who along with Phil Dudman has injected plenty of colour and life into Organic Gardener with their harvest features. Julie is a food writer and stylist who lives in Byron Bay (NSW). She also teaches at the Sydney Seafood School and contributes to cookbooks and magazines around the country. Justin Russell is a passionate organic gardener and journalist who writes regular features and blogs for OG. Justin lives with his young family near Toowoomba (QLD) on two productive acres with his wife and three young children. He is also qualified in landscape design and previously ran a heritage fruit tree nursery. Peter was born in Manchester, England, in 1927. He started gardening as a small child, later developing a vegetable garden to help support his family during the Great Depression. After military service in World War II, Palestine and Korea, in 1955 he settled in Tasmania and began full-time landscaping. In the late 1960s he began working in the media. He hosted the ABC’s Gardening Australia until 2008 and still broadcasts each week on ABC local radio. Peter writes for newspapers and magazines including ABC Organic Gardener, and has written three books on gardening. He is active in anti-war and environmental movements. Jerry is a Queensland-based presenter for ABC TV’s Gardening Australia. Inspired by his family of gardeners and farmers, he has been gardening since the age of four. Jerry studied at England’s Royal Botanic Gardens, Kew, and managed the horticultural estate of the Royal Botanic Gardens in Sydney for 11 years. 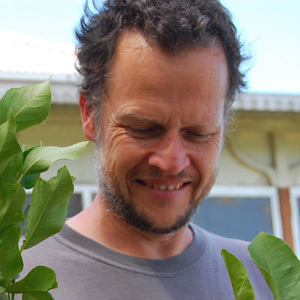 In 2003 he moved to Brisbane and founded ‘Bellis’, an award-winning sustainable home and garden. 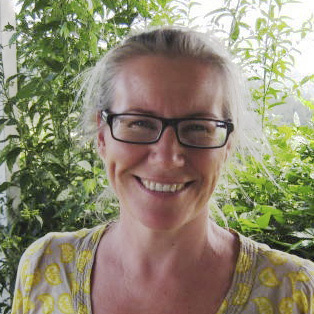 Jennifer Stackhouse is a horticulturist, garden writer and editor, who lives on a small rural property at Kurmond with her family, dogs, chooks and the neighbour’s horses. However, all that’s about to change when, with her husband and their two pugs, she relocates to Tasmania in July 2014. She is highly respected by gardeners around Australia and a popular speaker and writer. Jennifer edits the influential trade journal Greenworld, writes for several leading garden magazines and websites, and regularly answers garden questions on ABC radio. Her latest book is simply titled Garden. It recently received a prestigious Laurel Award for Best Garden Book for 2014. Jennifer loves talking about gardens and plants, and regularly answers people’s garden queries on air and at garden shows and seminars. She also performs garden demonstrations with topics including easy ways to grow plants, top herbs, vegetable growing and DIY hanging baskets. She also enjoys talking about living the tree change life, chooks and comments on environmental issues. Jennifer also presents inspirational talks about overseas gardens and the world-famous Chelsea Garden Show. Jessamy Miller is Organic Gardener’s regular poultry writer as well as contributing other articles. She grew up on a hobby farm in Central Victoria and spent most of her childhood with a few lambs and a pet chicken under her special care. “There was really no way of avoiding a lifelong love of chooks,” she says. She now lives in inner Melbourne with her husband and two primary-aged children, a menagerie of chooks, quails and cats, and a big organic vegie garden. She enjoys getting together with her neighbours to do extreme group projects like bottling 150kg of tomatoes or bringing up meat chickens. Her goal is practical self-reliance, growing, sewing, baking, brewing rhubarb champagne, and getting the children to help with everything on the way. 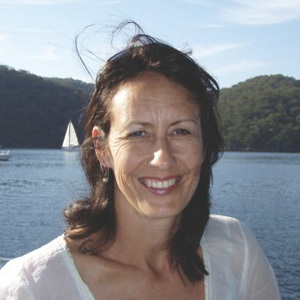 Jessamy is one of the editors of Australasian Poultry magazine and also a freelance journalist. Dr Reese Halter is a conservation biologist and author of eight books. Although based in Los Angeles, he has a strong connection to Australia, having completed a PhD at Melbourne University and being a contributor to ABC Radio National. Dr Halter has written extensively about climate, forests, trees, beetles, water, oceans and bees. Among his books is The Incomparable Honeybee which sets out the environmental challenges facing bees and what we need to do to save them. His most recent book, Shepherding the Sea was released last year. 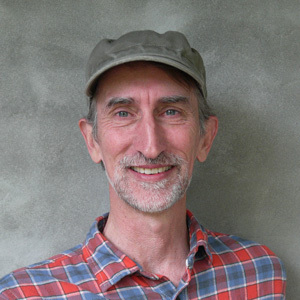 Dr Halter contributes articles to Organic Gardener on global environmental issues.